Editor’s note: This week, we’re in Chicago at ISTE connecting with thousands of educators and introducing our latest tools and features. In this post, we dive into some features on the new Acer Chromebook Tab 10 and other next-gen devices, designed to inspire new heights in creativity for students and teachers alike. Follow along all week for updates on Twitter and Facebook, and if you’re at ISTE, visit us at booth #1602 to learn more, say hello to our team and test out our latest classroom tools. Over one million students explored tornadoes, planets and more through augmented reality (AR) during the Expeditions AR Pioneer Program this year, and now we’re bringing AR to the Acer Chromebook Tab 10. AR Expeditions will be available on the tablet this fall and until then, you can explore virtual reality (VR) field trips in full-screen today! We’ve partnered with pencil company Staedtler, a name synonymous with good-old-fashioned analog learning, to develop a stylus that students can share across devices. The STAEDTLER Noris digital for Chromebook stylus requires no pairing, requires no charging or battery, and is designed with affordability in mind. 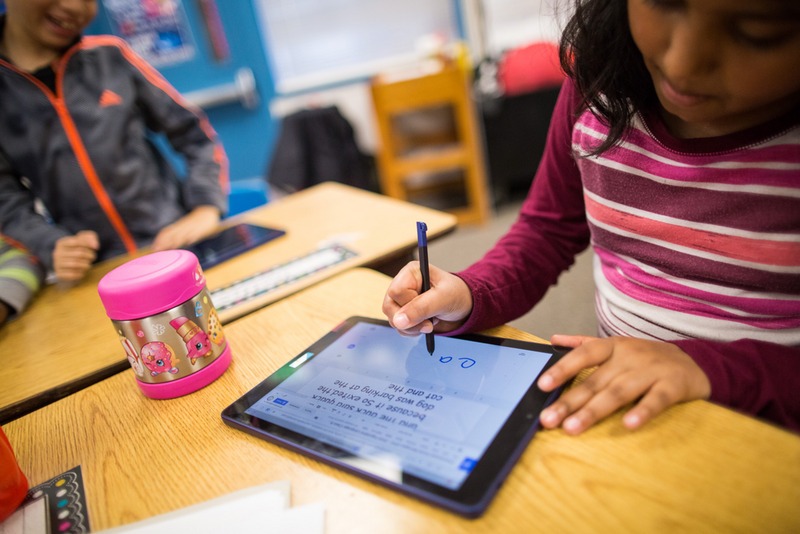 Along with the annotation feature in Classroom, educators can give handwritten feedback and assign PDF worksheets that students can annotate with their stylus. Does this stylus work with other apps? App-solutely. Try Squid to sketch ideas, Jamboard to collaborate in real time, or Explain Everything to create stories and turn ideas into understanding. Expect these scribbling towards a store near you later this summer.